The Melvoin Academic Center, with its imposing physical footprint and floor-to-ceiling windows, makes for an impressive gatekeeper of Belmont Hill’s academic quad. The building’s modern classrooms, vibrant murals, and features like the iLab have become central stops on tours for prospective students. The Belmont Hill community generally looks favorably upon the “new building,” which quickly became one of the most popular spots on campus after its opening in November 2014. But some students note what they see as somewhat frivolous features in the center, from the seldom-used TV table on the second floor and the presence of Smart Boards or Prometheans in almost every classroom to the spacious Third Form study hall. There are rarely complaints, but occasionally some question whether every element of the building represents the most efficient use of resources. Whether the Melvoin Center fulfilled its sustainability promise is somewhat complicated. Science faculty member Mr. McAlpin believes that while it is “a great building,” the Melvoin “falls short of what is possible.” As the campus’ most dedicated advocate for environmental stewardship, Mr. McAlpin was brought into the early planning discussions of the building to speak in broad terms and push for the consideration of sustainable elements. But he understood by the meetings’ end that green architecture would likely just be a minor consideration in the construction of the Center. 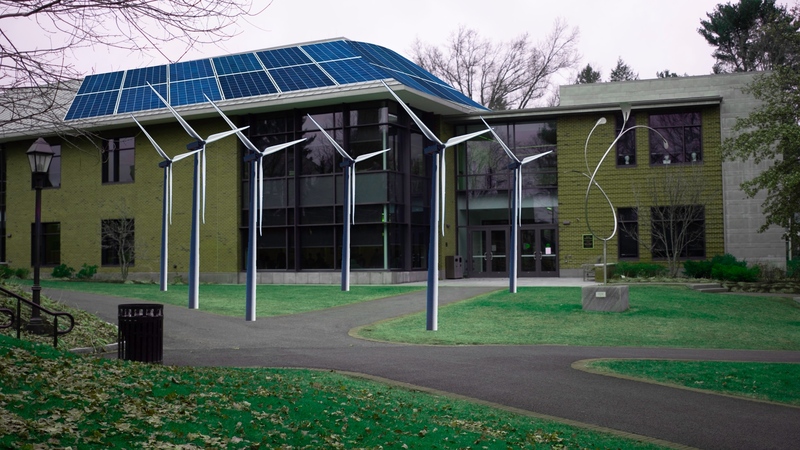 The school told Mr. McAlpin that “maintaining the architectural integrity of the campus” was important, making solar panels unlikely (despite this concern, however, the final building did include a number of features not seen anywhere else on campus, including black window frames and sections of flat roof and stone siding). But the biggest roadblock was that making the building green simply was not a top priority, especially if sustainable architecture would mean additional up-front costs. While Belmont Hill may not have incorporated renewable energy in the Melvoin Center, the facilities committee did add a number of efficiency measures to the building. In part to follow state and local building codes, Belmont Hill added an energy-saving chilled beam HVAC system, which, along with an airtight seal and thick insulation, is so effective that the building occasionally has to bring in outside air in the winter, and installed LED lighting and motorized shades to keep the building cool in the warmer months. According to Director of Operations Mr. Bounty and Director of Facilities Mr. Young, the school did investigate the possibility of solar panels but decided the Southwest-facing portion of the roof was too small to make an array viable. While the Center does not hold a LEED certification (a distinction for efficiency given out by the US Green Building Council), as a result of stringent local codes it is most likely LEED certifiable, say Mr. Bounty and Mr. Young, and formal paperwork is probably the only thing preventing the Melvoin from carrying a LEED plaque. Mr. Bounty and Mr. Young point out that in the Melvoin, as with most of the other projects on campus, the efficient aspects of the building go mostly unnoticed – as Mr. Young puts it, “you don’t see the plumbing.” In addition to the more visible efforts like the solar array on the Jordan Athletic Center, which produces 230,000 kilowatt hours of energy a year, the school has made strides in the dorms, exchanging old boilers for efficient systems, replacing wasteful light bulbs, retrofitting the insulation and windows to better regulate temperature. 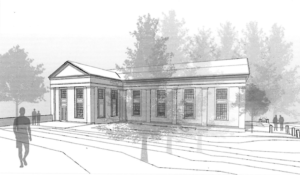 The upcoming chapel expansion also promises similar initiatives. Each summer, Belmont Hill adds LED lighting, dual-flush toilet heads, and water bottle-filling stations as part of routine renewals and replacements. On every building project, Mr. Bounty and Mr. Young work diligently to meet government sustainability codes and look for additional ways to increase efficiency when the return on investment is substantial, but, says Mr. Bounty, green guidelines “are not a driving force” behind building decisions. While Belmont Hill has moved quietly and steadily forward, other ISL schools have taken conspicuous steps to lead on sustainability in their facilities. When Nobles & Greenough renovated and built an extension to their historic castle to more than double their dining hall size and increase the number of faculty apartments by 50%, the school made sustainability a major goal. The addition, built by Shawmut Construction (the same company which constructed the Melvoin Center), used, along with standard efficient appliances and HVAC systems, solar thermal arrays and passive solar strategies, radiant heating, and refrigeration heat recovery to offset any increase in energy demand caused by growing the building and achieved LEED Gold status. 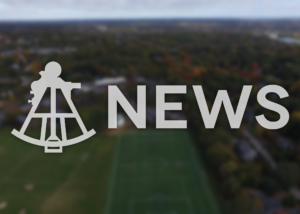 At Milton Academy, the school website proclaims in its lengthy sustainability section that environmental stewardship is “an institutional priority,” a vision they have appeared to follow closely in their facilities. The school has three large-scale sustainable building projects on campus: a large solar array on the athletic center that produces 900 kilowatt hours of usable electricity per day at its peak and two LEED certified buildings, including one on the silver level, which utilize recycled building materials, a green roof, rainwater irrigation, and efficient HVAC systems. 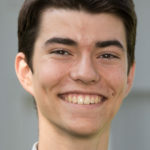 Milton is a larger and wealthier school than Belmont Hill, granting them more opportunity to go green, and they also may be simply more prone to advertise their efforts, but there is no doubt that they have focused on taking charge among Boston-area private schools on matters of sustainability. Bringing more efficient architecture to Belmont Hill is easier said than done. 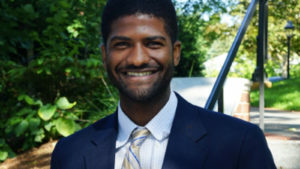 Mr. McAlpin realizes this; he believes the campus is well built and points fingers at no one, and knows that true efforts for sustainability will be difficult until a donor, board member, or school leader arrives ready to spearhead a concerted effort, as has happened at other schools. But with projects like the chapel expansion on the horizon, Mr. McAlpin feels a cautious optimism that Belmont Hill can take a step into the future and lead.